Equatorial Guinea - After inspiring Gabon to a over Burkina Faso in his country’s opening game of the Africa Cup of Nations 2015, Borussia Dortmund’s Pierre-Emerick Aubameyang has made it his mission to become one of the greats of African football. In recent years, heavyweights such as Didier Drogba, Samuel Eto’o and Yaya Toure have monopolised the label of Africa’s best player, but the Dortmund speed-demon is aiming to take over that mantle in the near future. “When people expect great things from you, you try to do great things. I'm trying to do the maximum so I become one of the greats,” he said. Aubameyang was speaking after an eye-catching display on day one of the 30th edition of the Africa Cup of Nations in Equatorial Guinea. The Dortmund man scored the opening goal with a composed finish after his initial effort had been saved, and was then involved in the build-up of Malick Evouna’s decisive header 18 minutes from time. The result somewhat masked a shaky defensive performance from Gabon, but after the host nation drew 1-1 with Congo, the Panthers are now top of their group having got off to the perfect start, while Aubameyang now has the springboard he needs to take the tournament by storm. His impact on the tournament has been brought into even sharper definition by the fact that his last appearance at Africa’s showpiece footballing event ended in such disappointment. 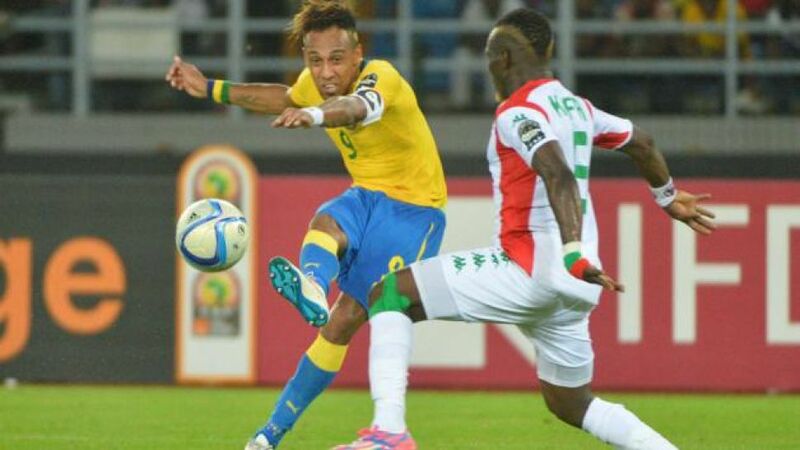 The former AS St-Etienne man missed the decisive spot-kick in Gabon’s shoot-out exit to Mali in 2012. Saturday’s display at the Estadio de Bata showed how Aubameyang has embraced the responsibility he now has in his national team. “Even though I missed it, that penalty remains a good memory for me because it made me grow up. If we get another penalty, I’ll score," said the captain confidently. As the danger man in one of the tournament’s potential dark horses, the spotlight is understandably on Borussia’s fleet-footed forward to emulate the aforementioned names, and he is happy to take the attention in his stride with a dose of realism laced with self-belief. “Perhaps there’s a level of expectation around me, but I don’t feel any pressure to be like them,” he continued. Aubameyang recently finished runner-up to Toure as 2014’s African Player of the Year, with the Ivorian winning the award for an unprecedented fourth year in a row. Yet the Manchester City FC man is now 31 years of age, while Aubameyang, at 25, has barely begun to enter his prime. Given his current rate of development, it surely won’t be long before Dortmund boast Africa’s finest player in their ranks.